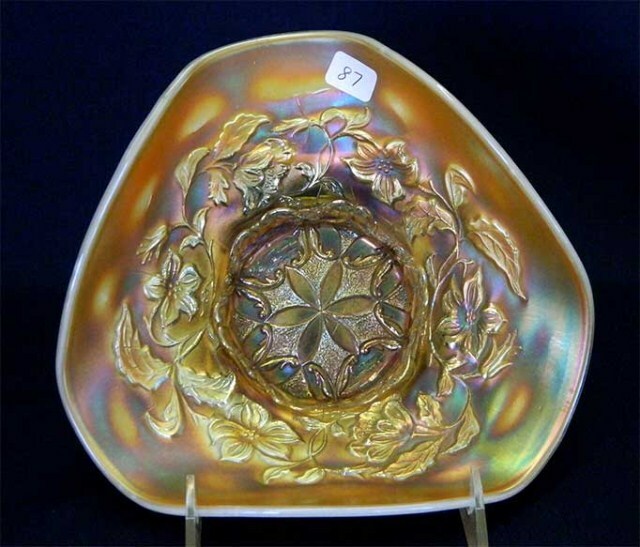 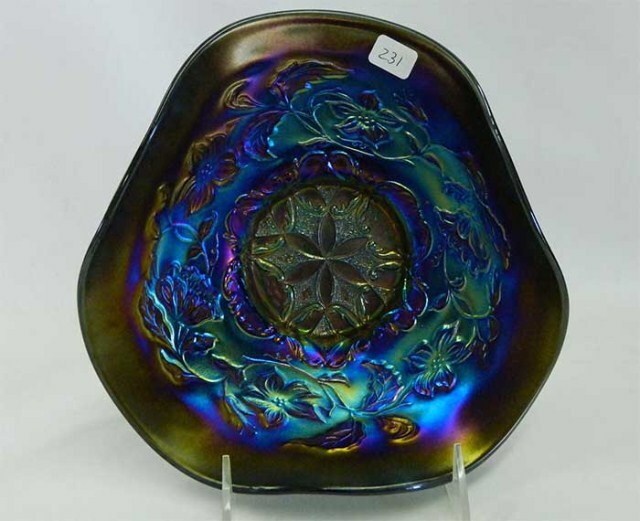 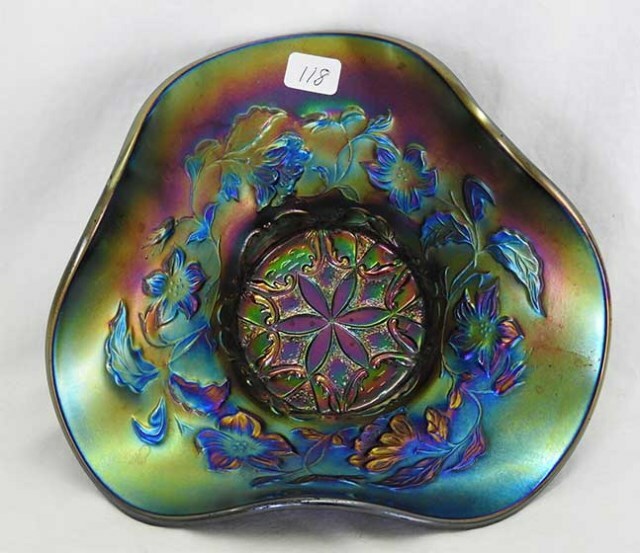 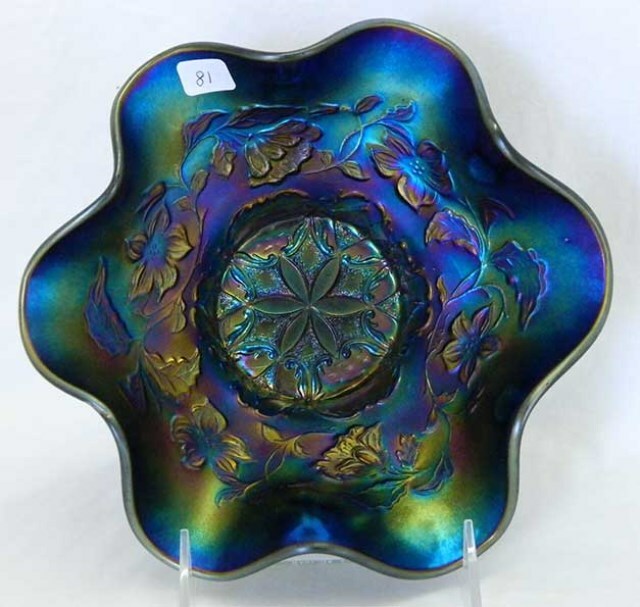 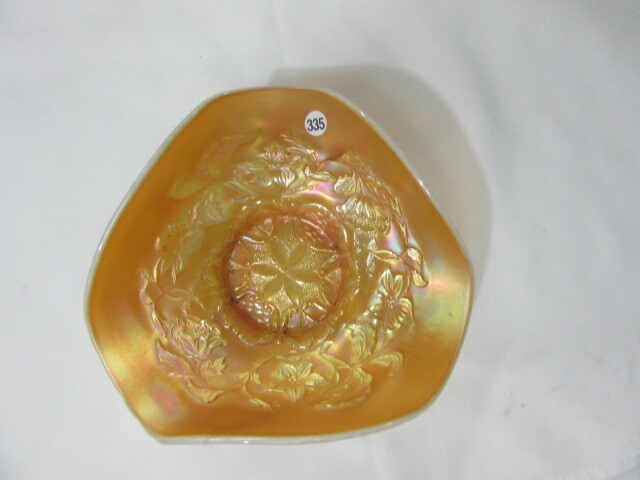 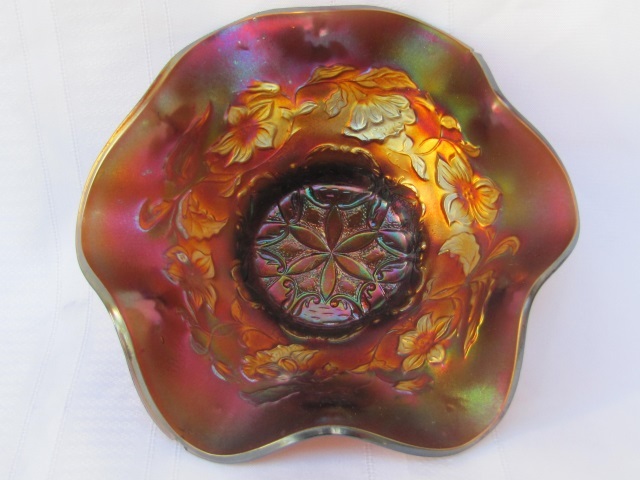 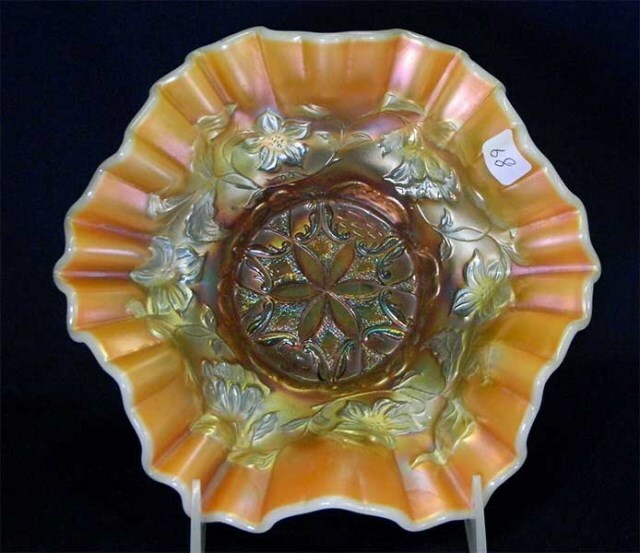 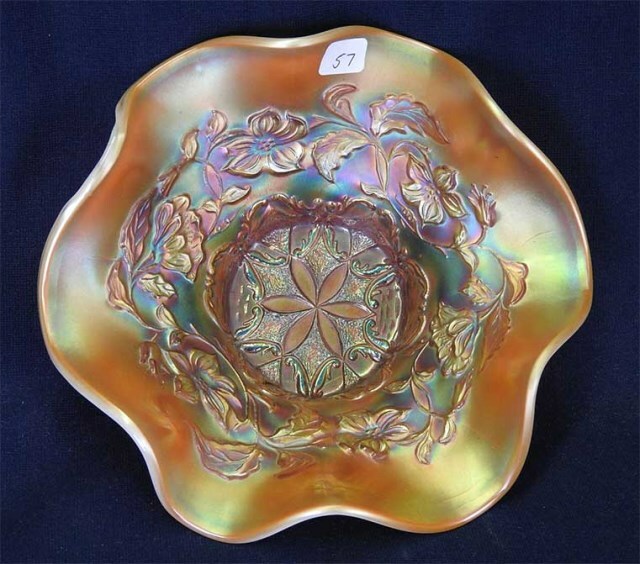 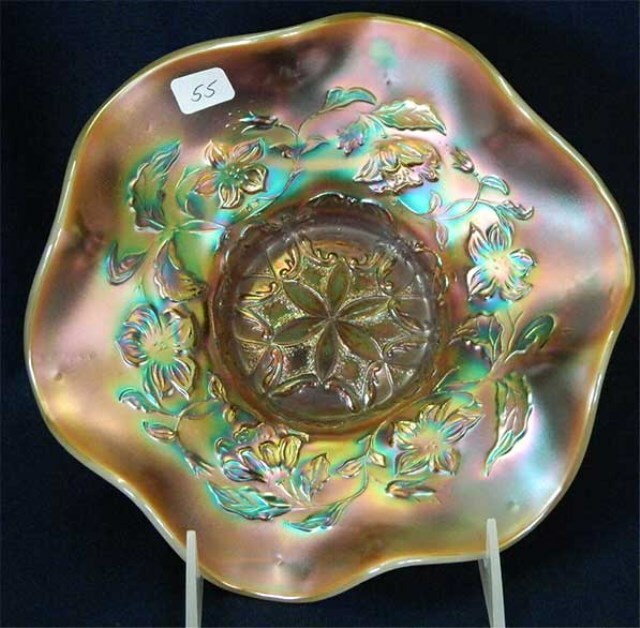 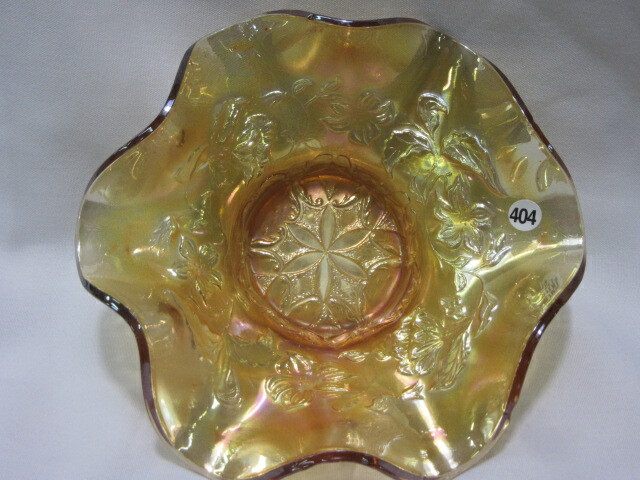 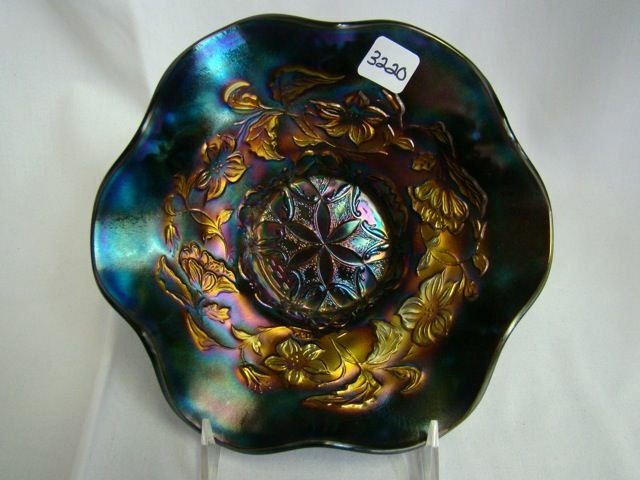 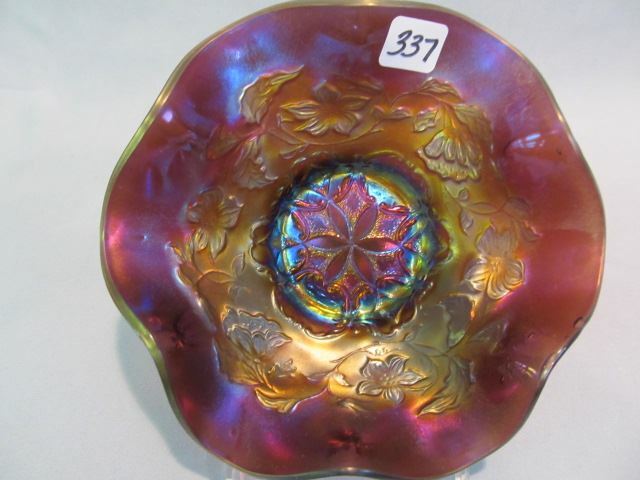 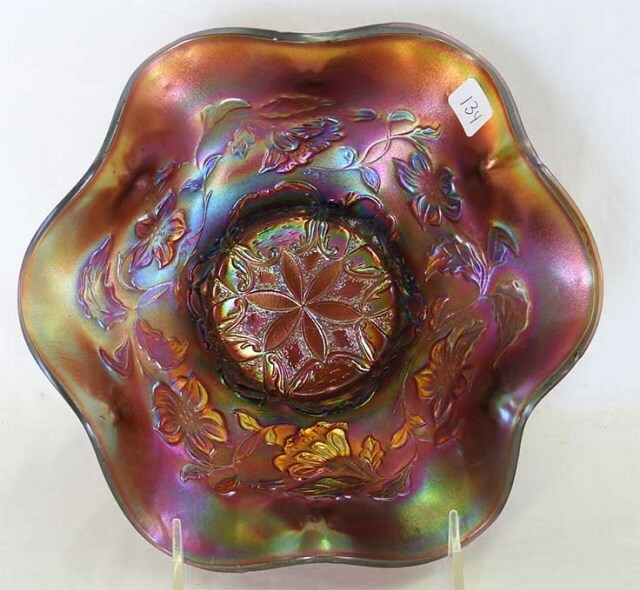 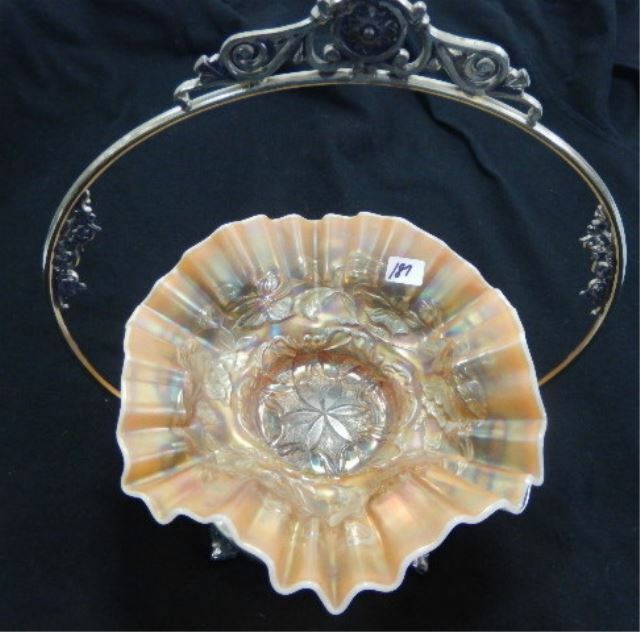 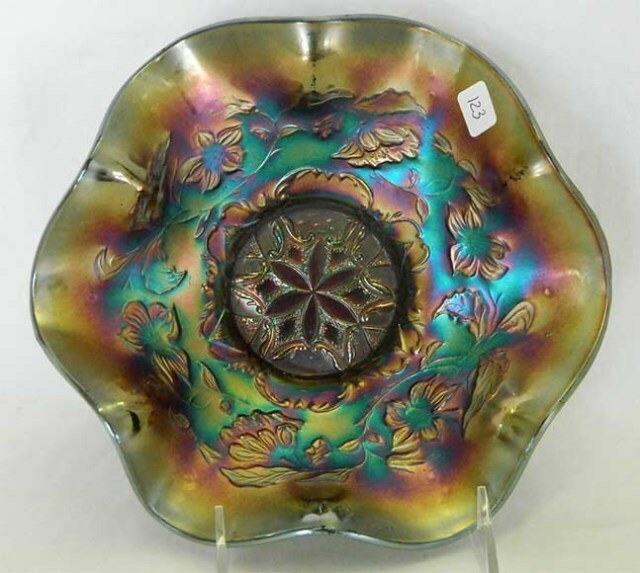 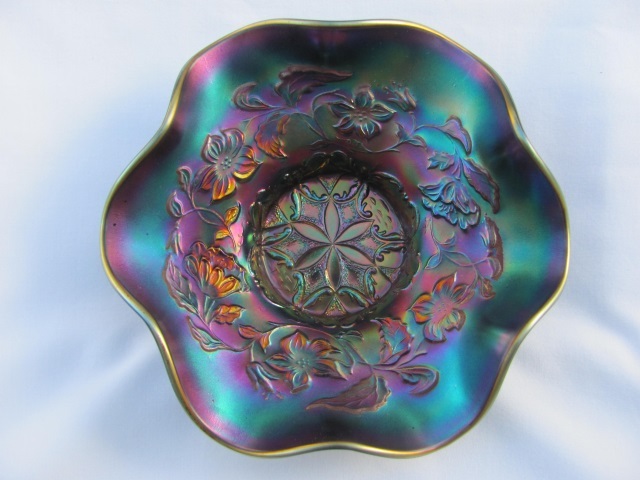 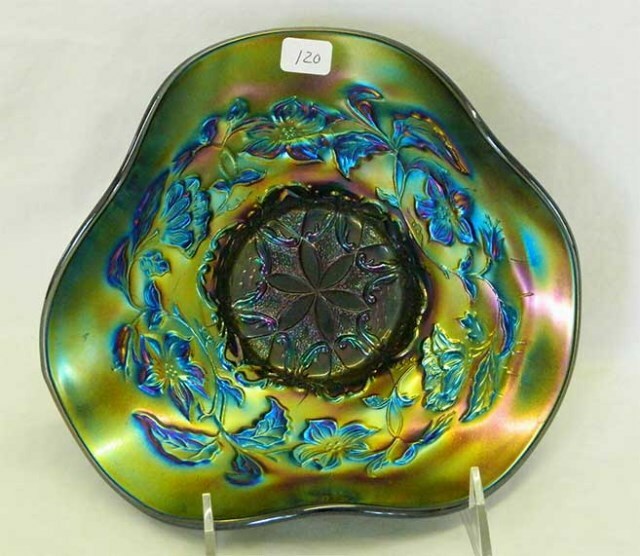 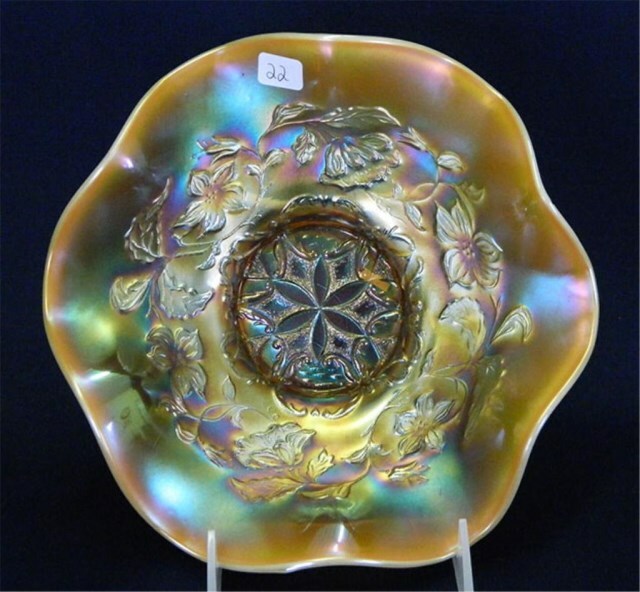 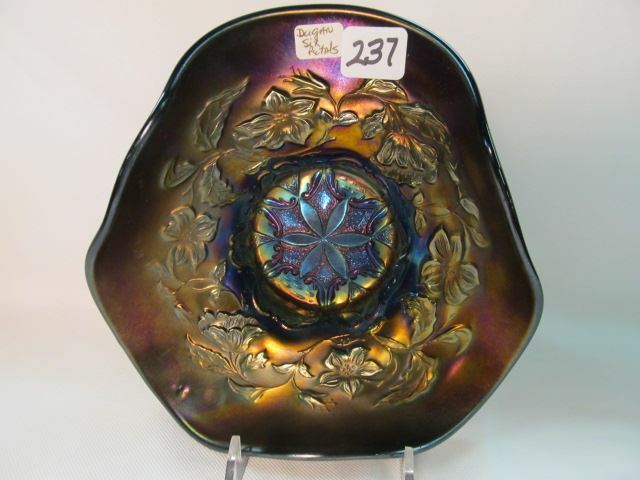 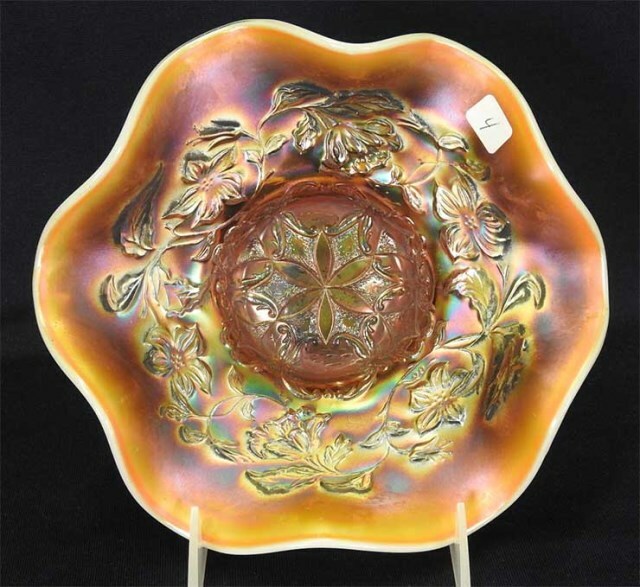 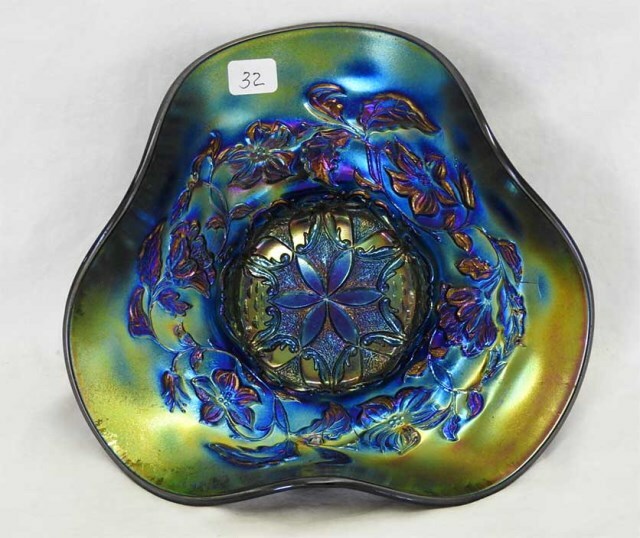 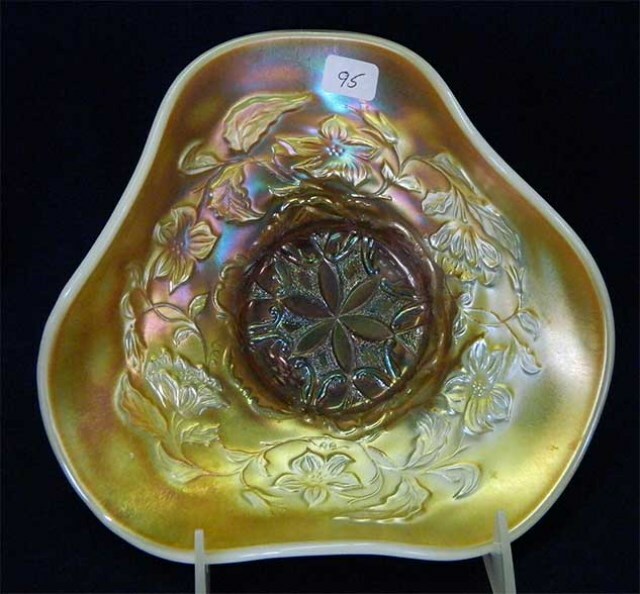 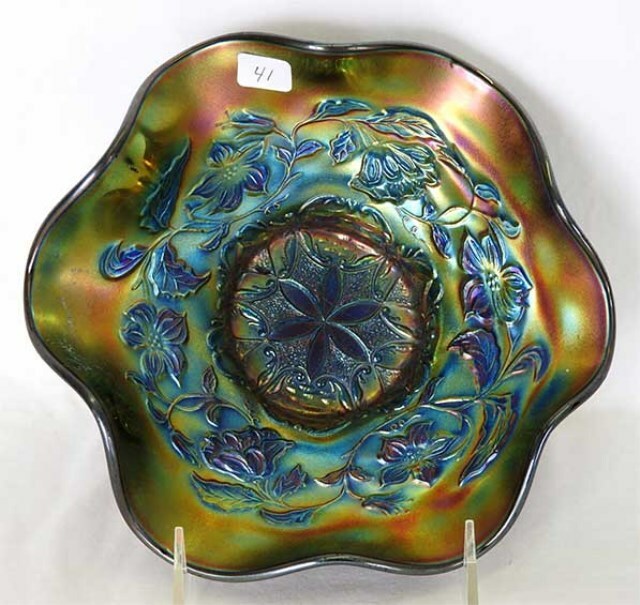 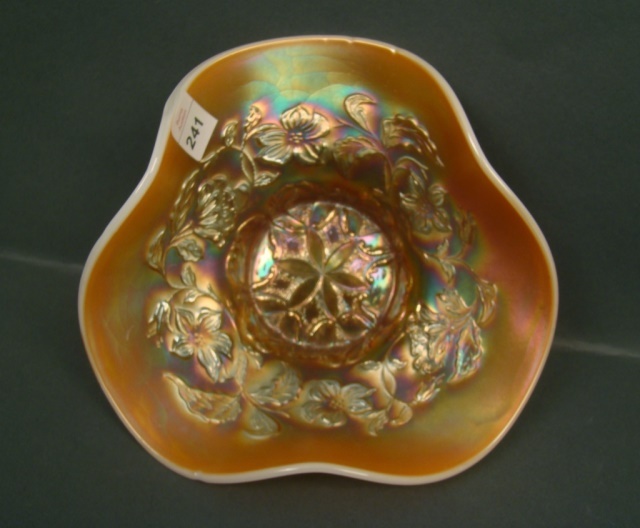 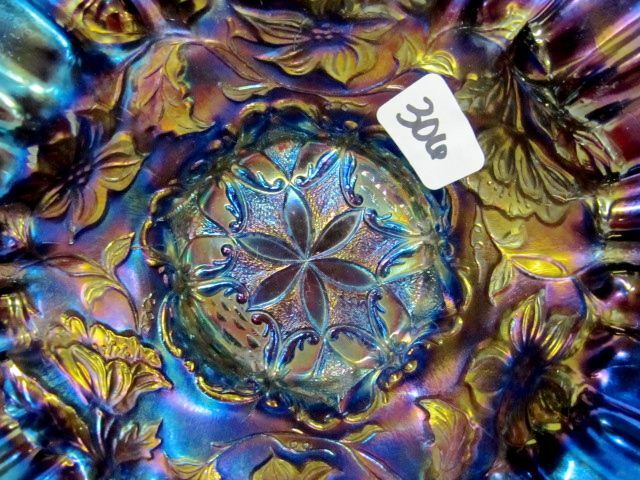 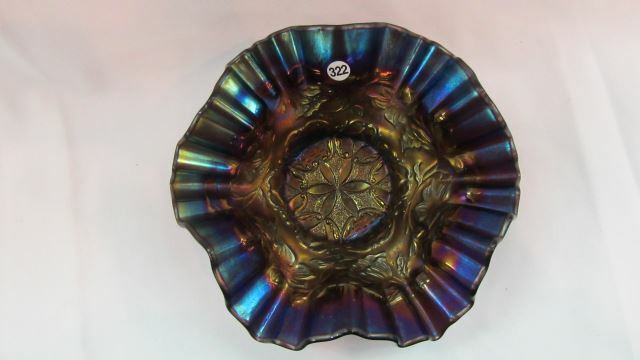 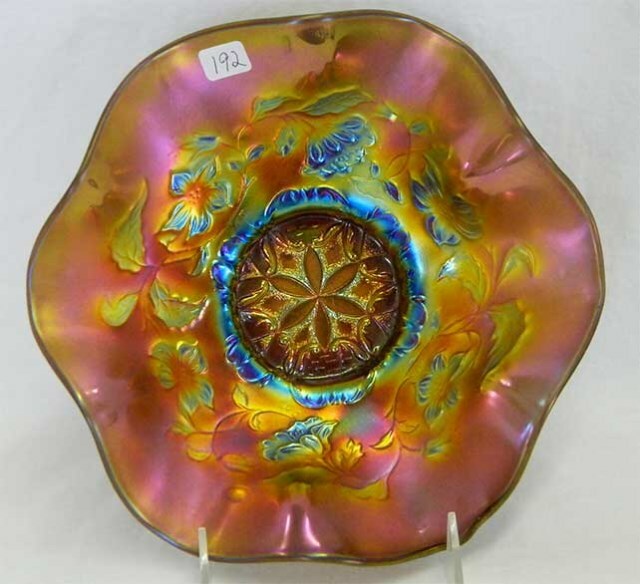 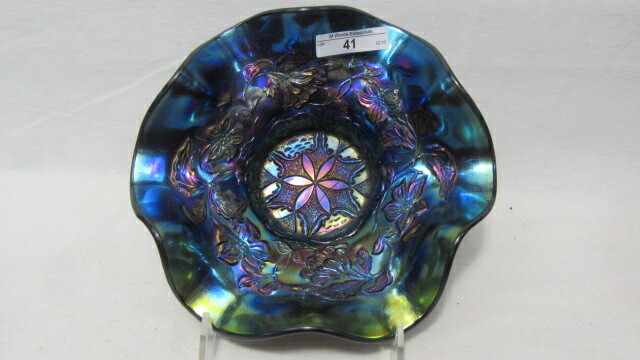 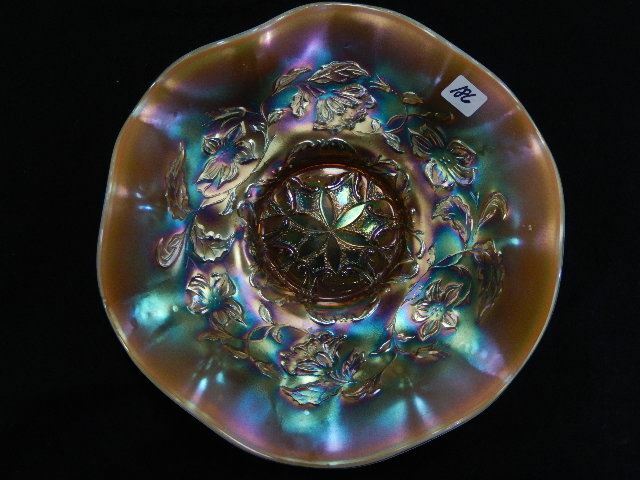 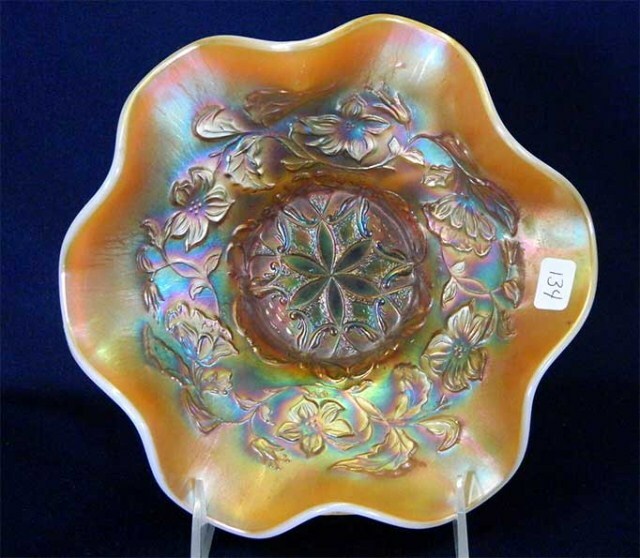 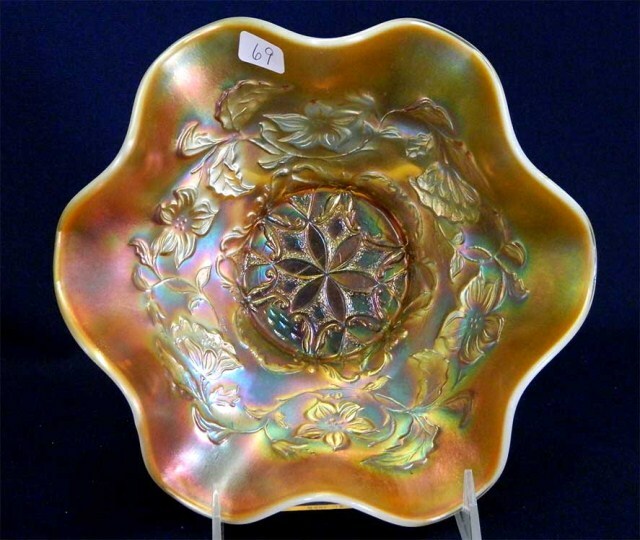 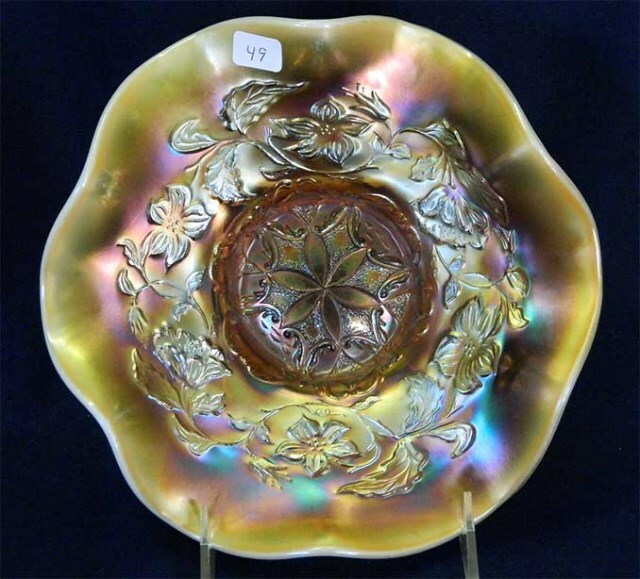 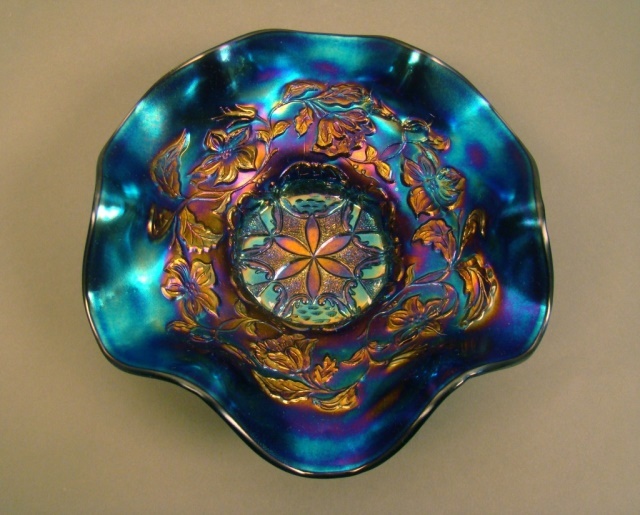 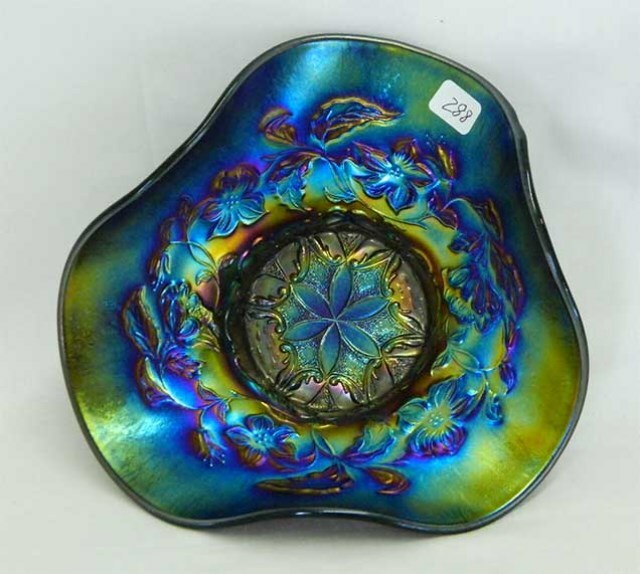 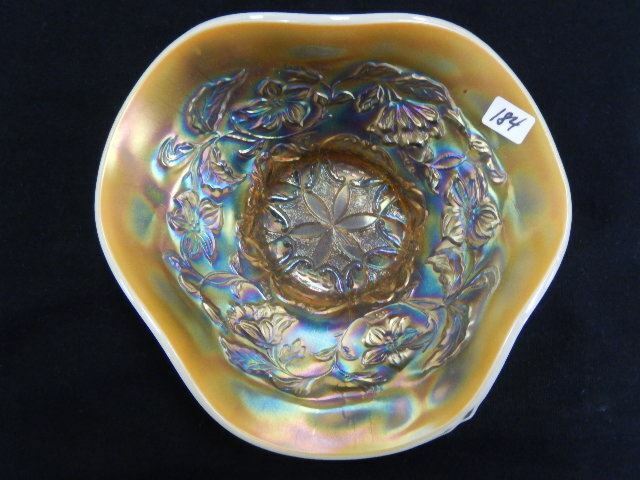 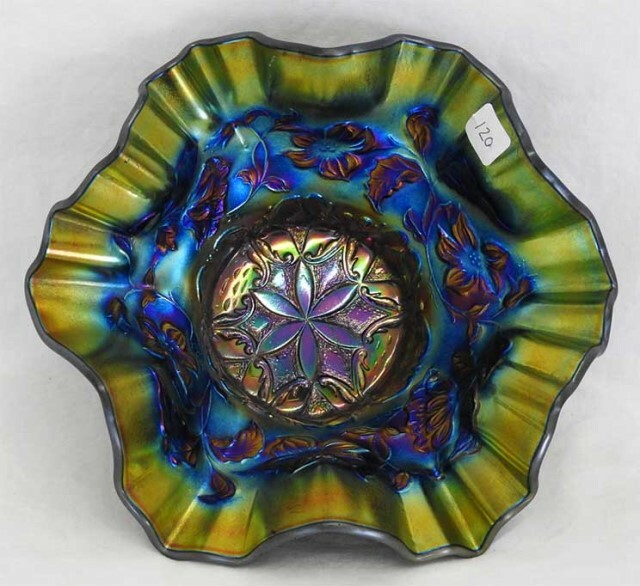 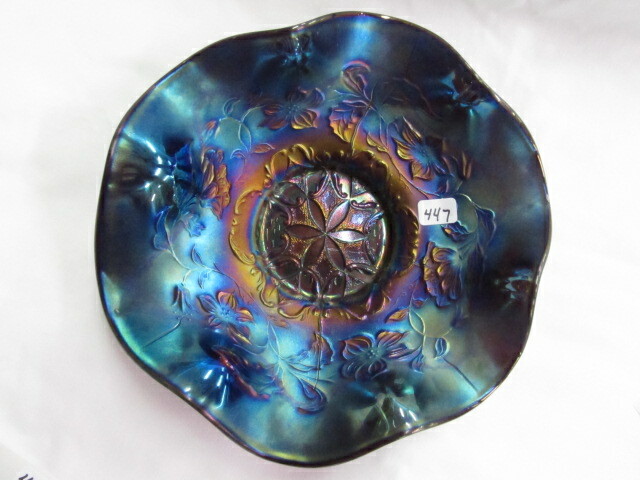 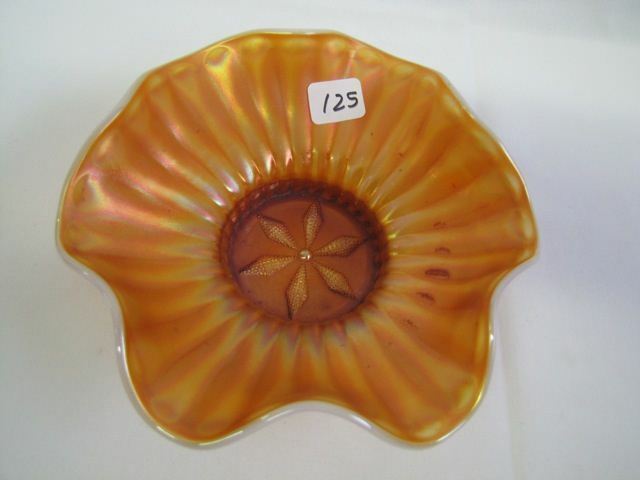 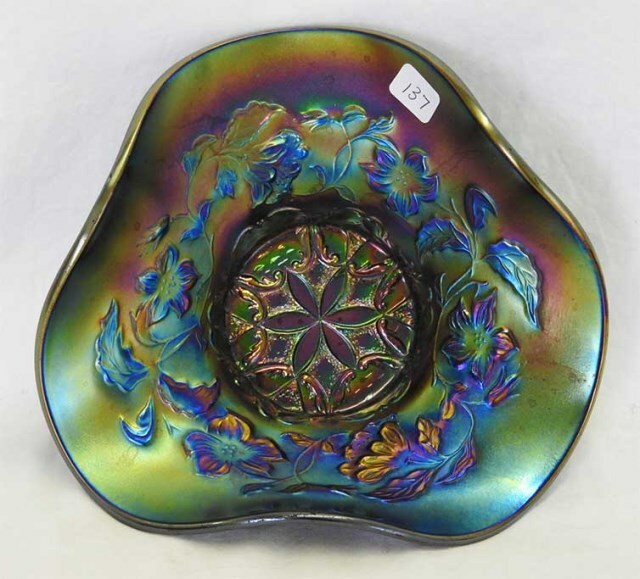 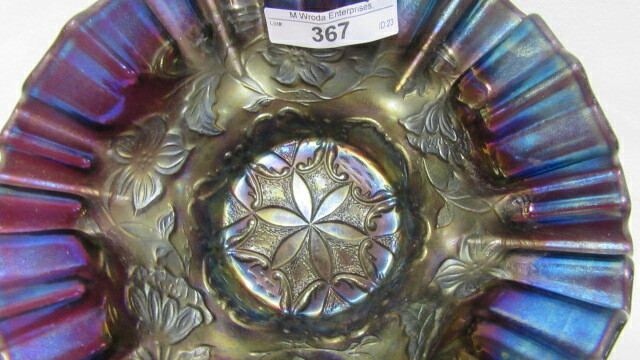 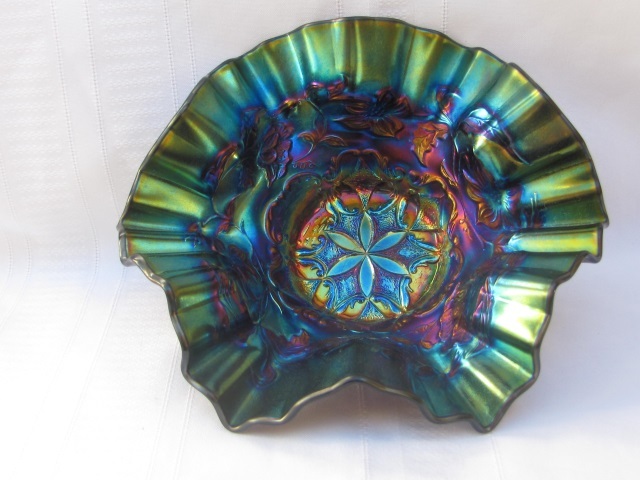 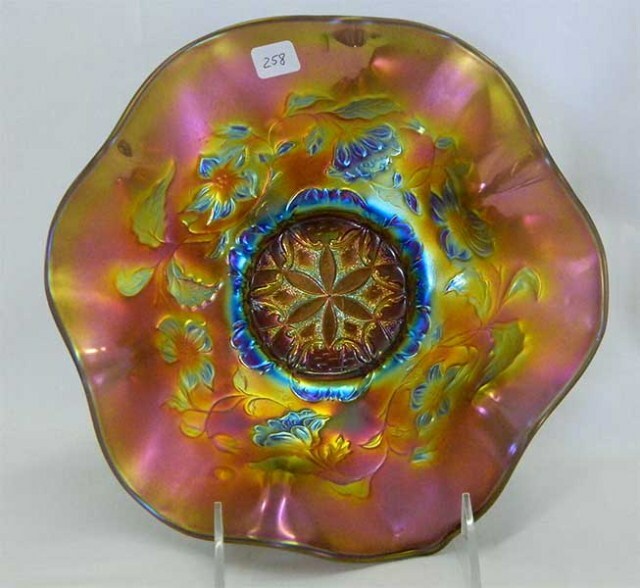 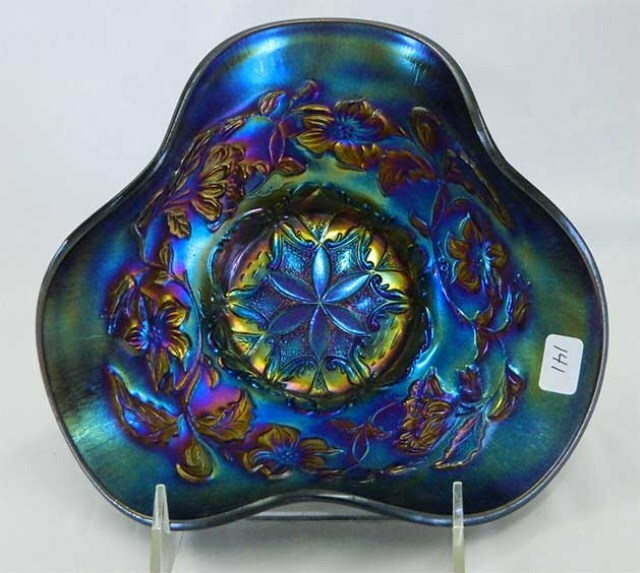 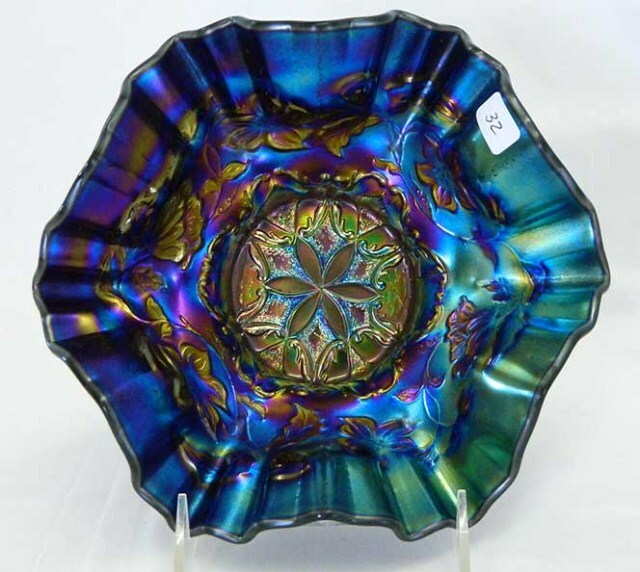 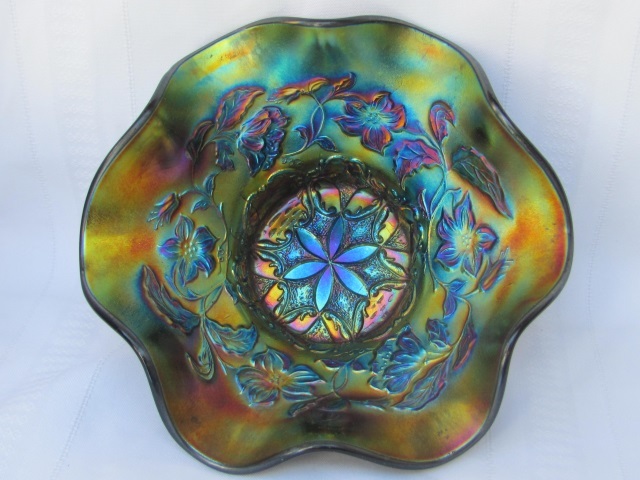 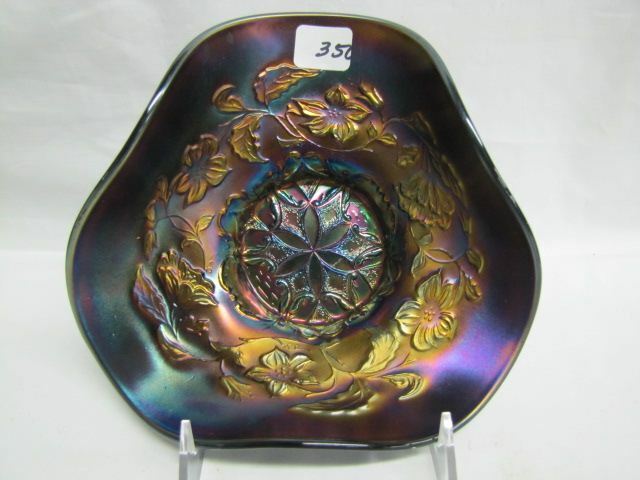 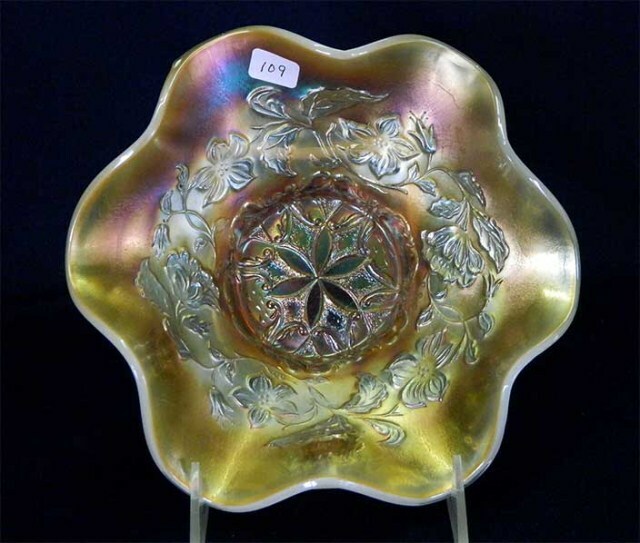 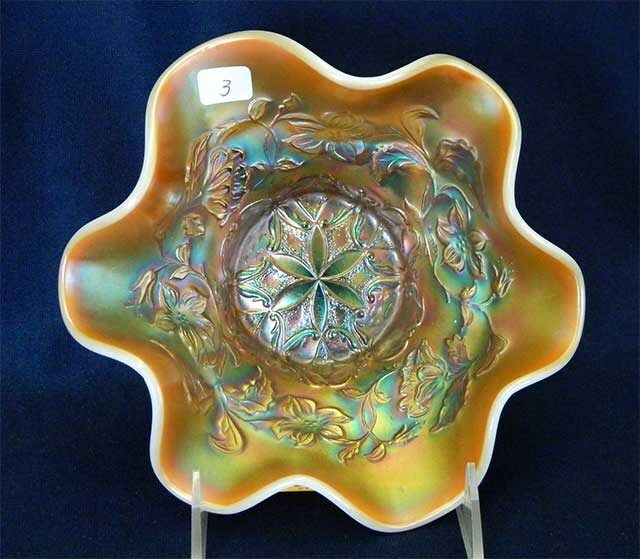 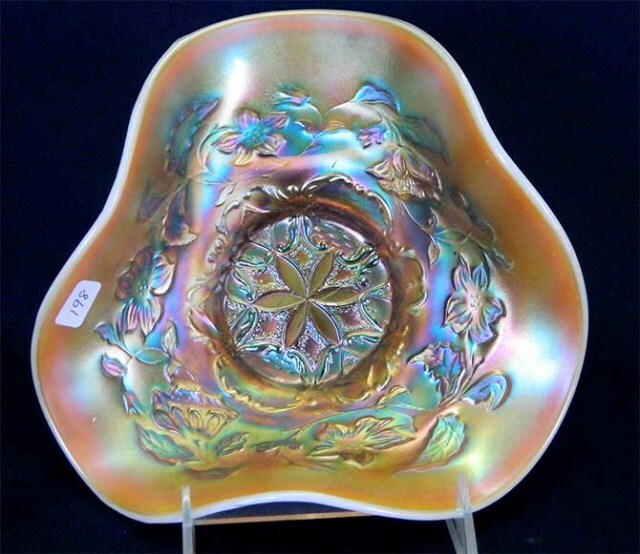 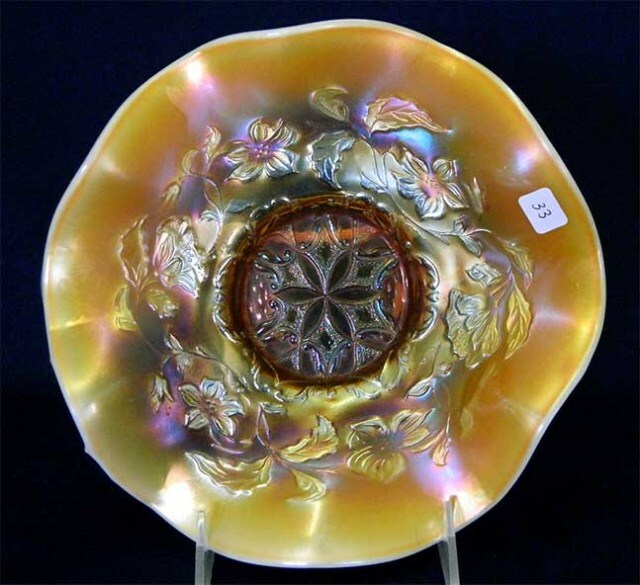 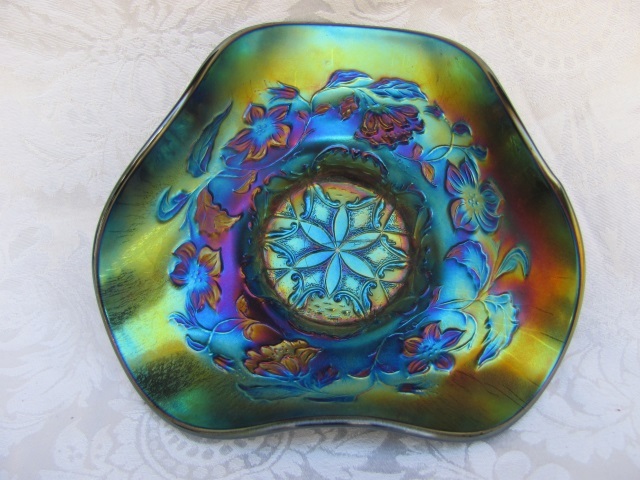 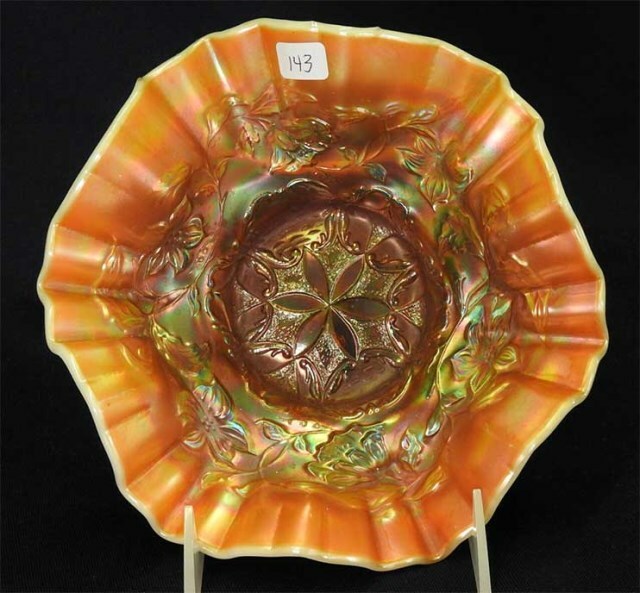 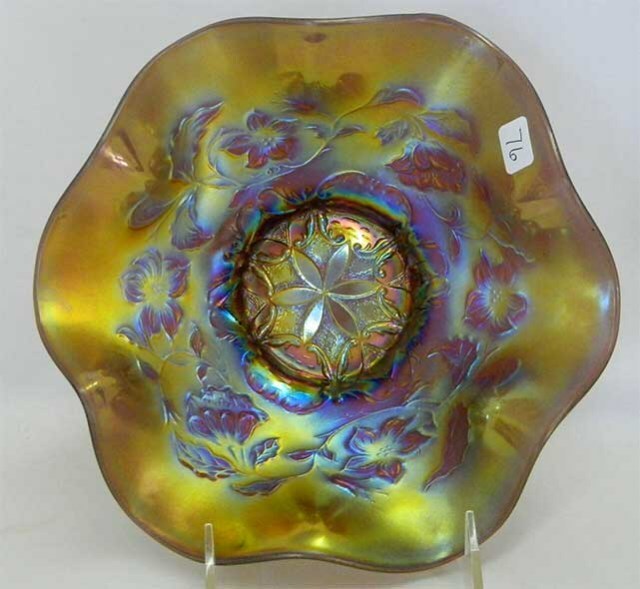 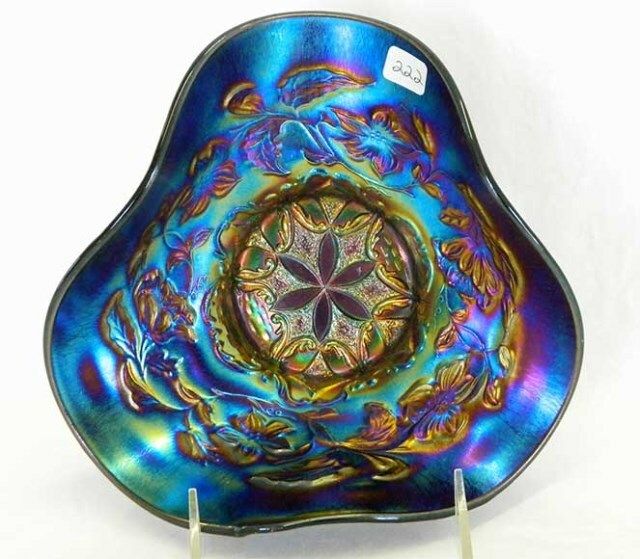 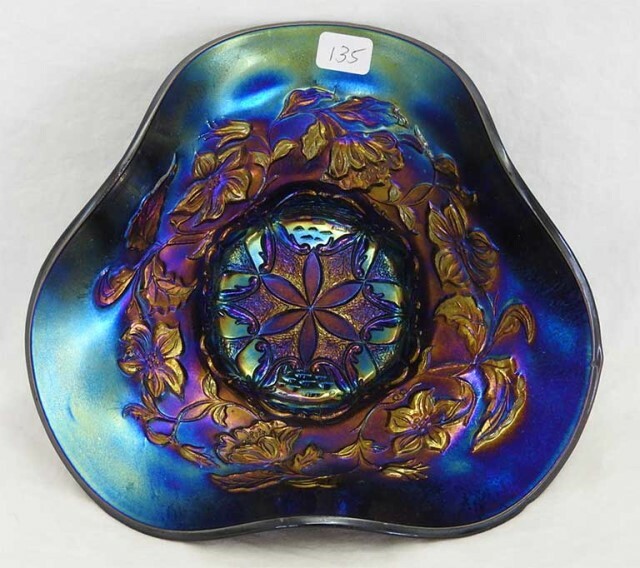 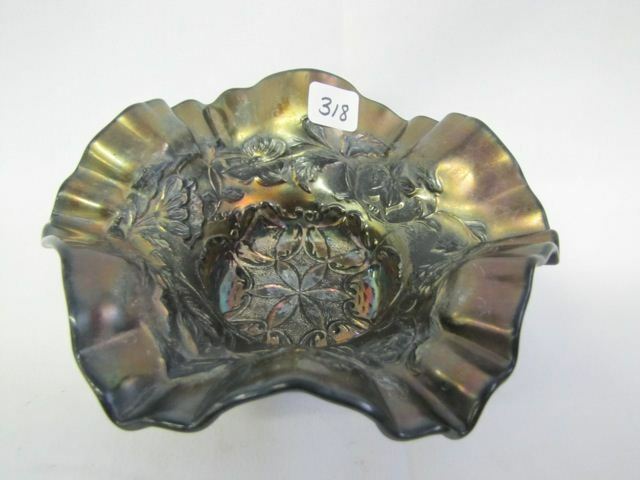 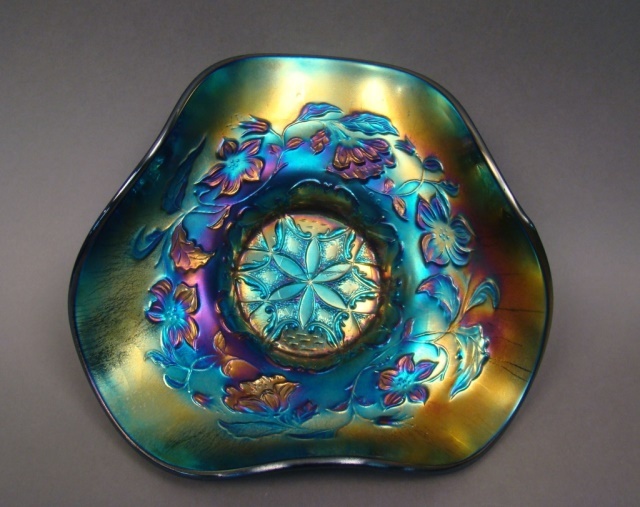 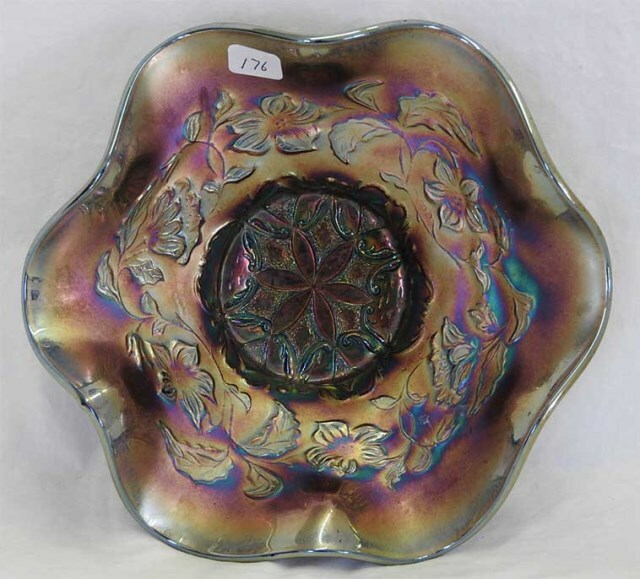 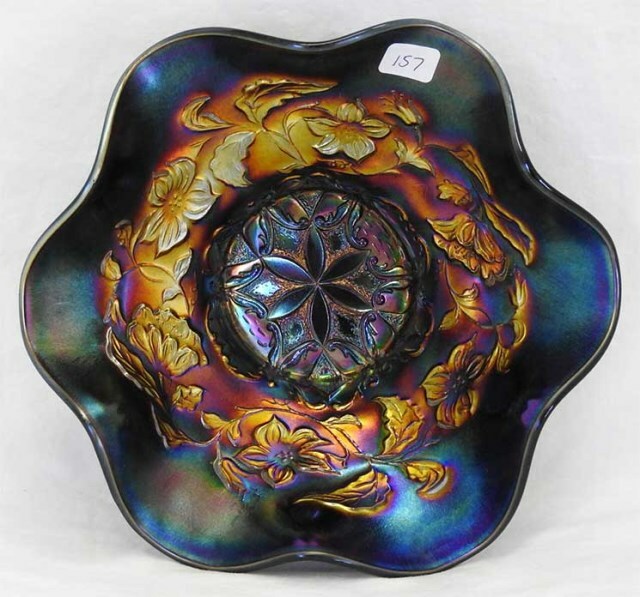 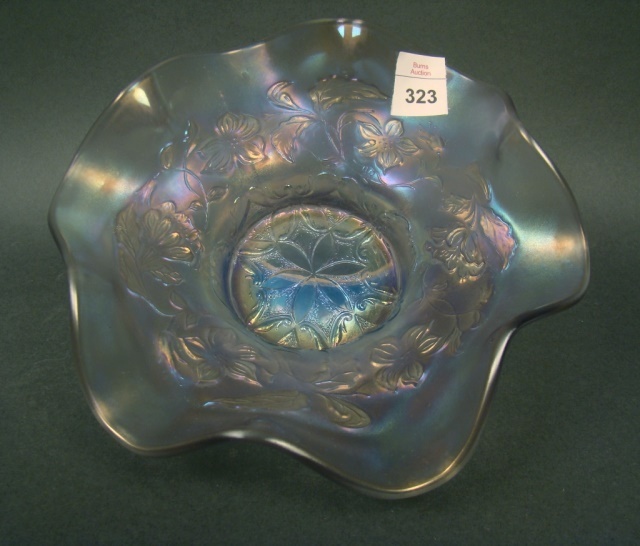 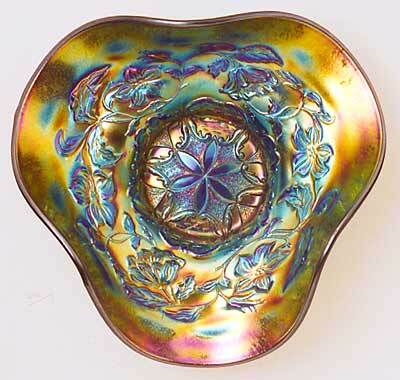 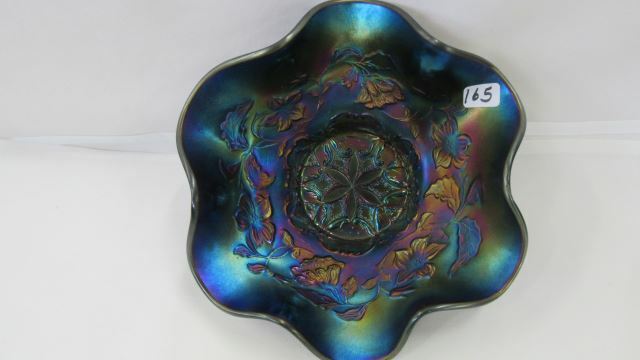 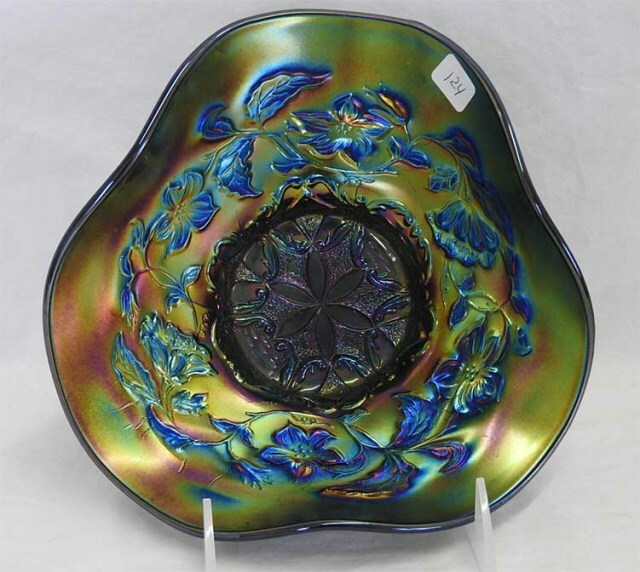 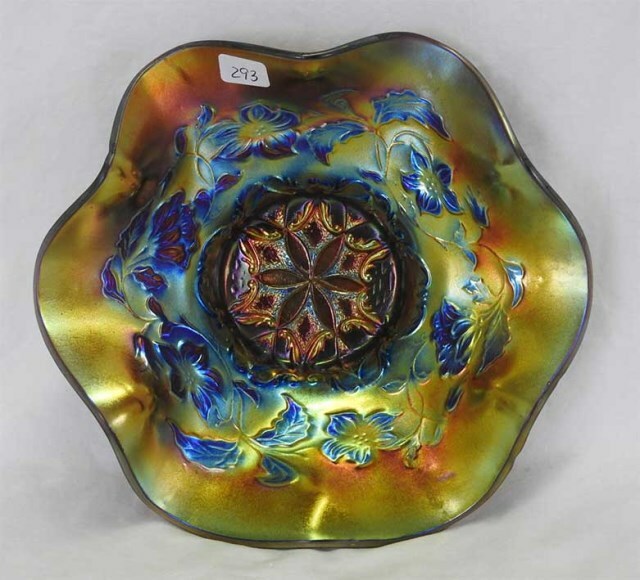 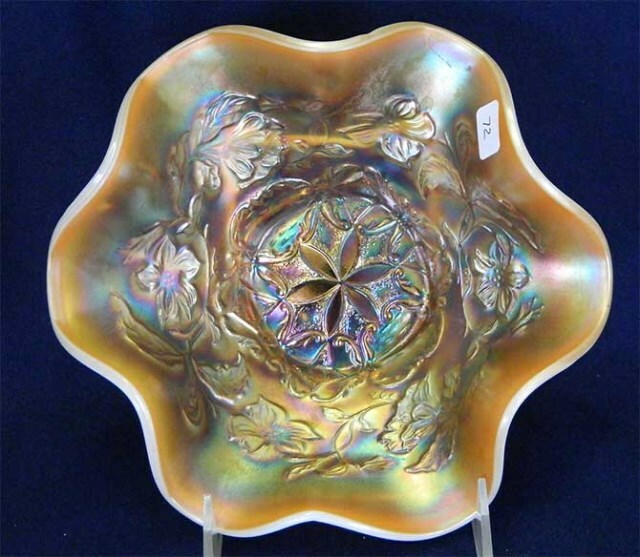 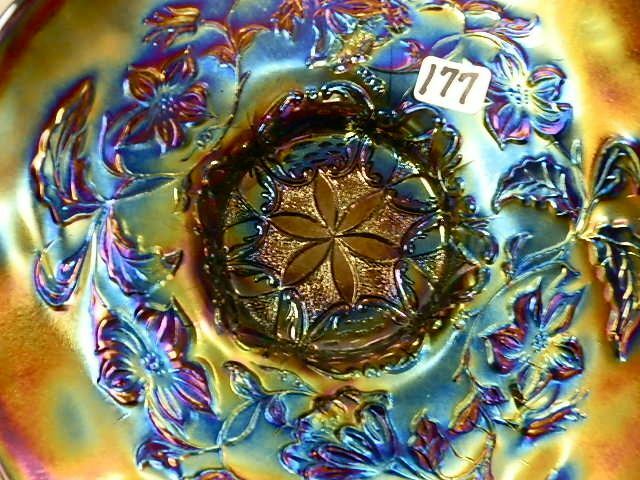 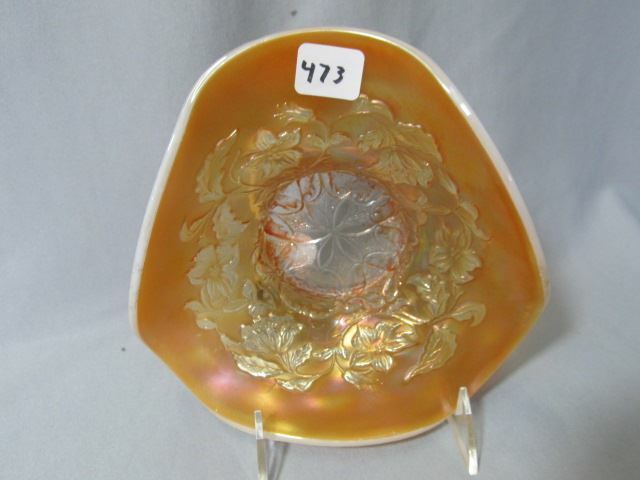 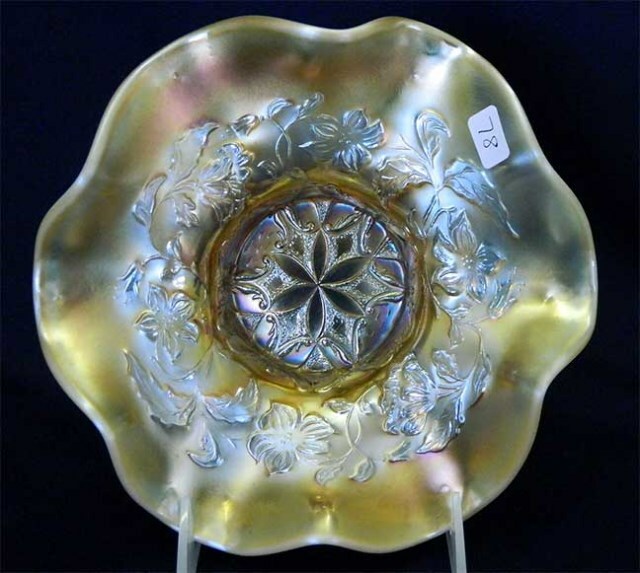 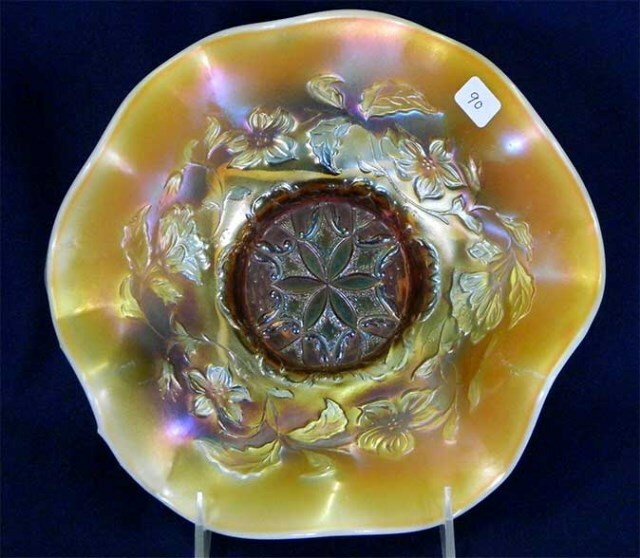 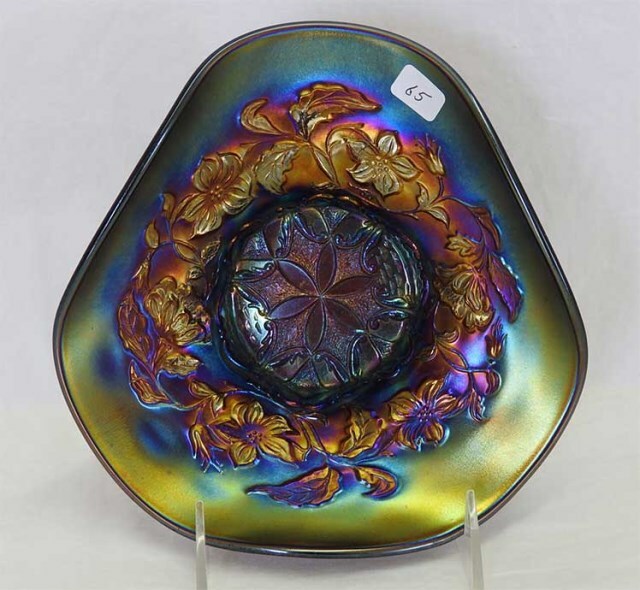 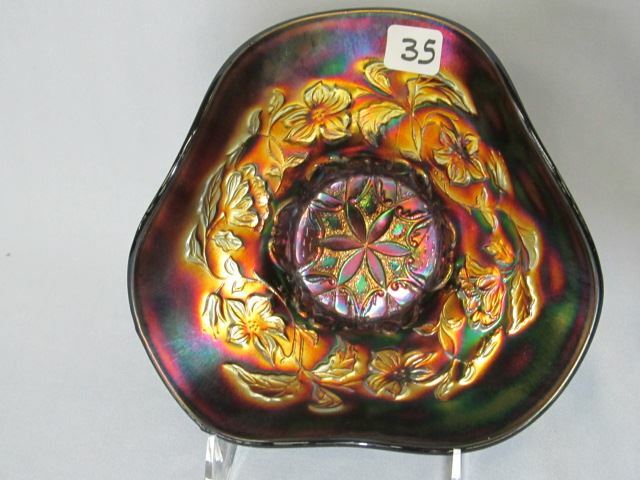 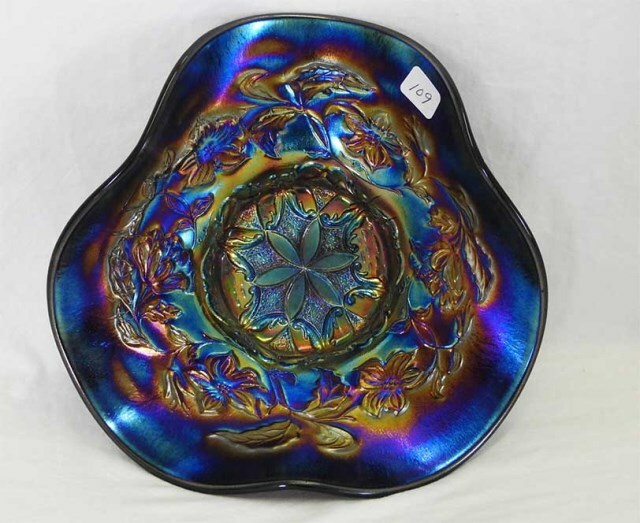 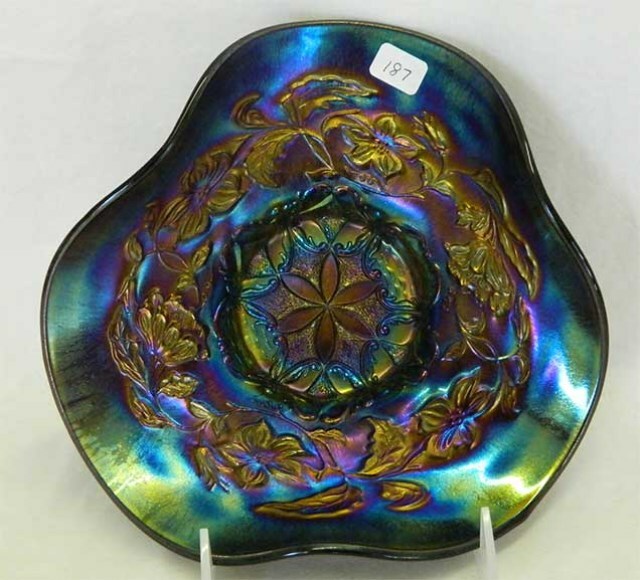 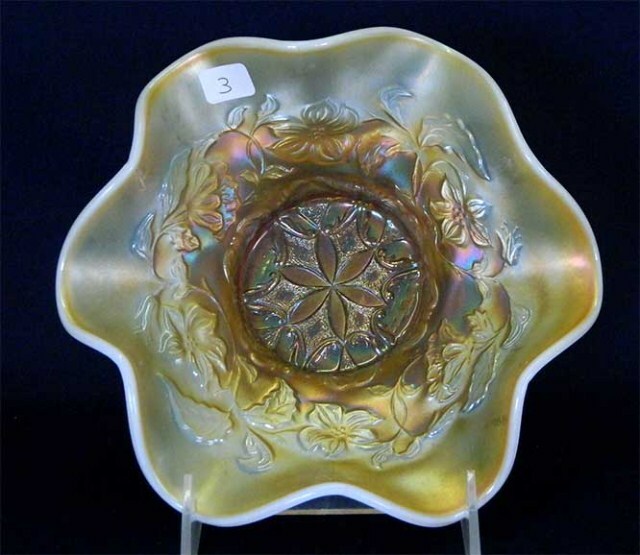 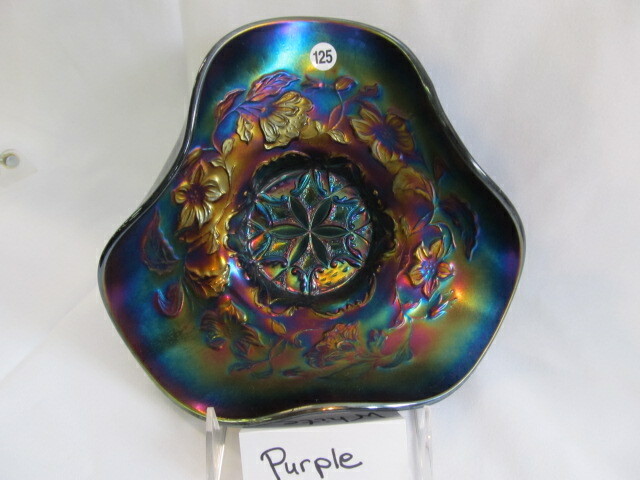 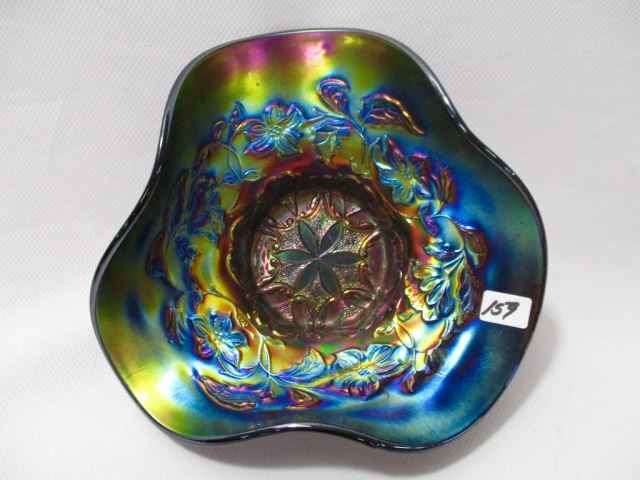 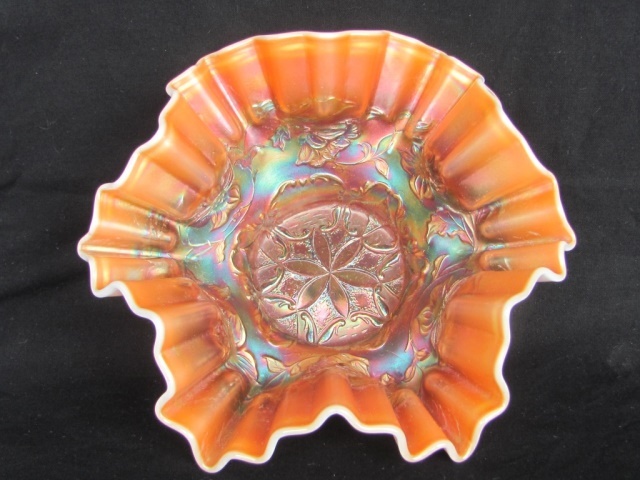 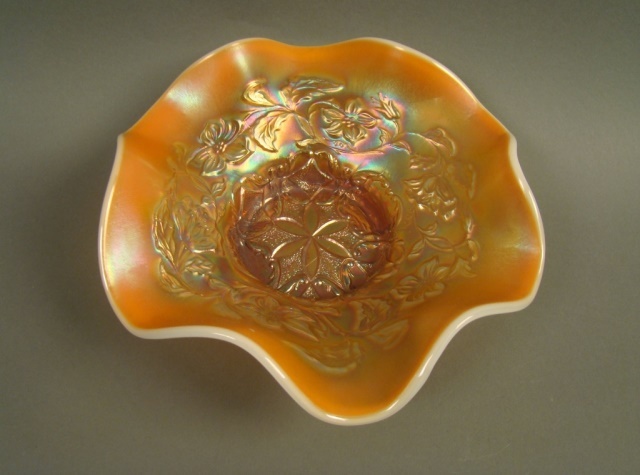 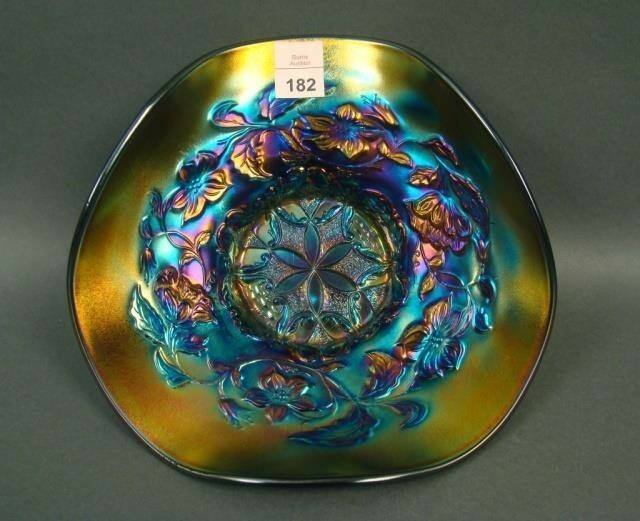 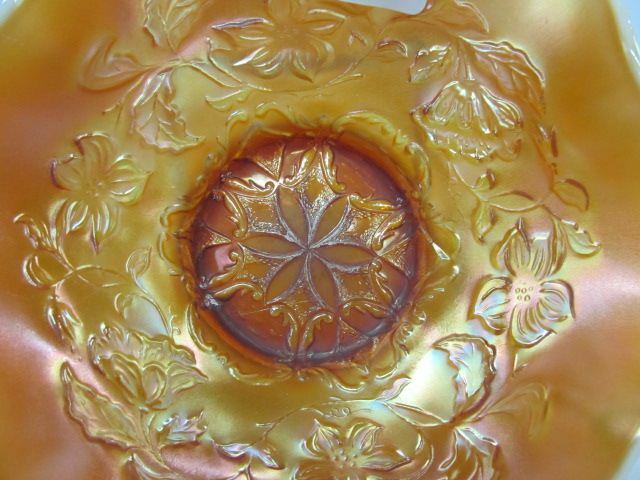 One would think that the Six Petals pattern would have been named for the wreath of leaves and blossoms around the bowl. 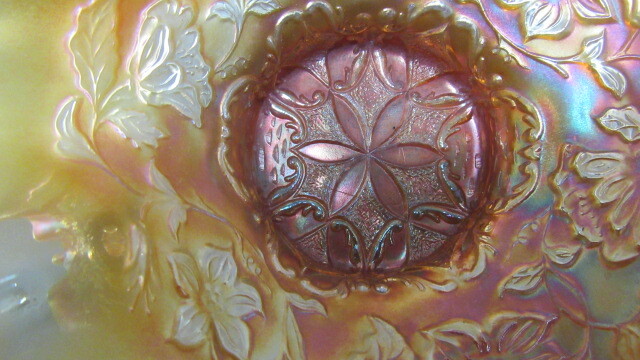 But the name derives from the six-petalled design in the center. 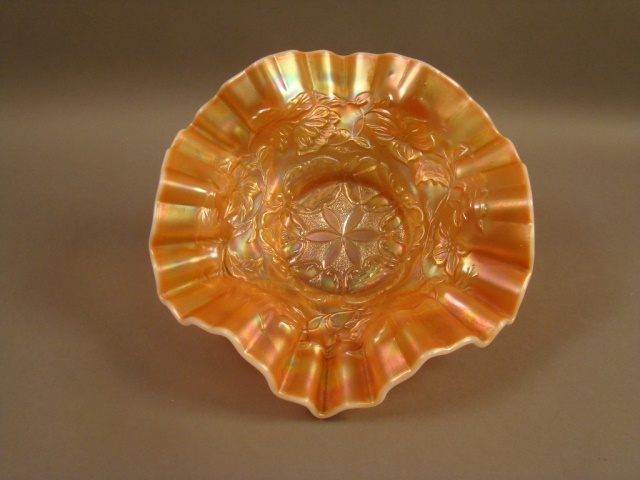 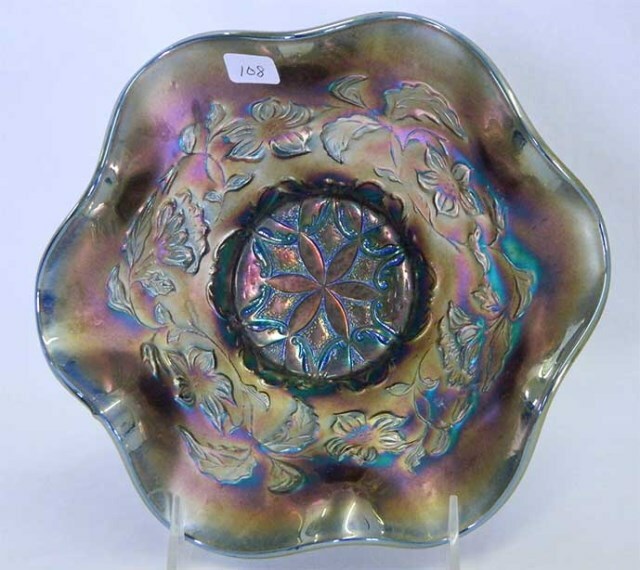 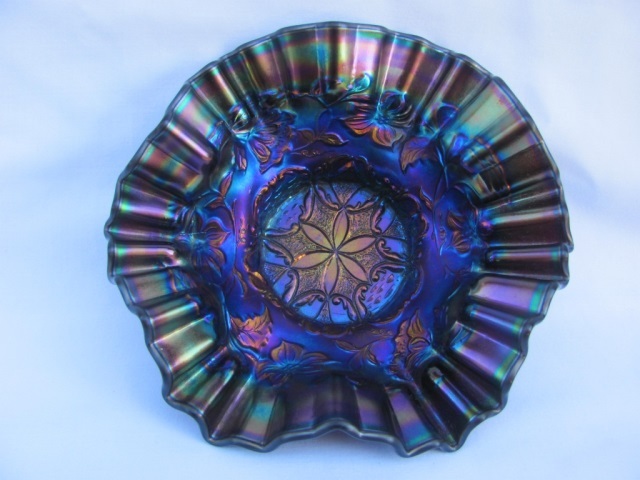 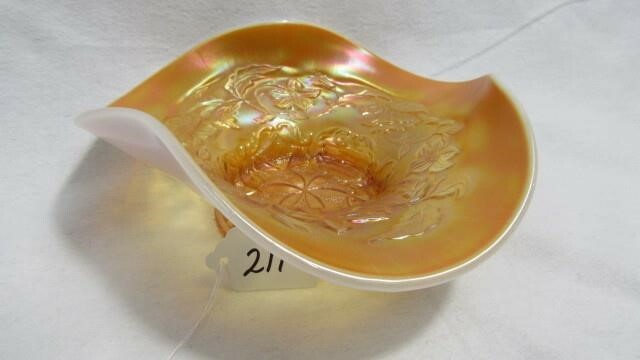 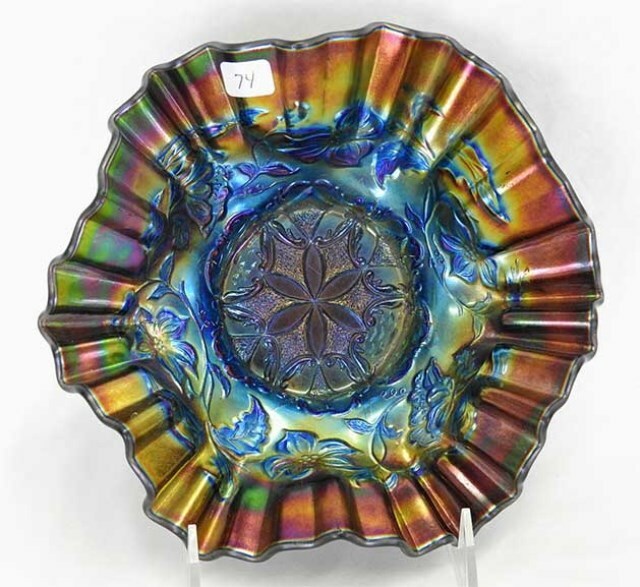 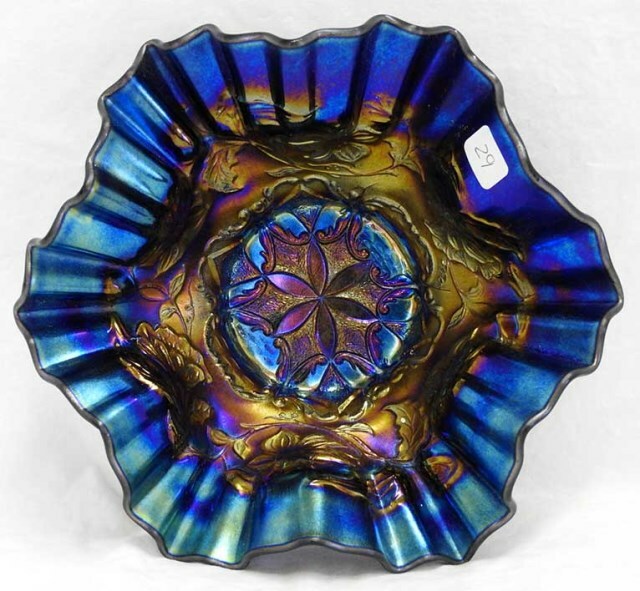 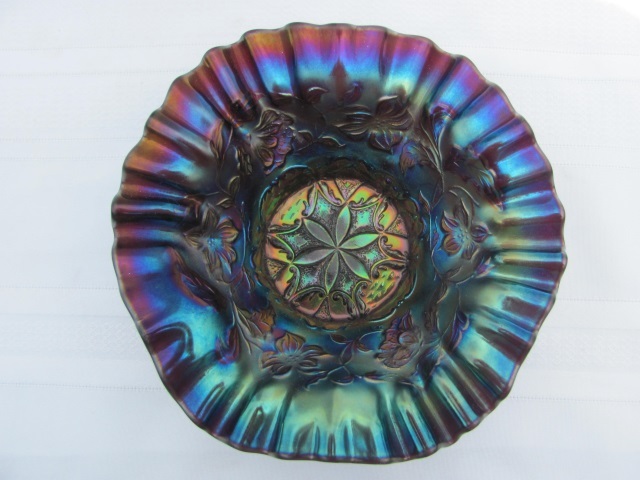 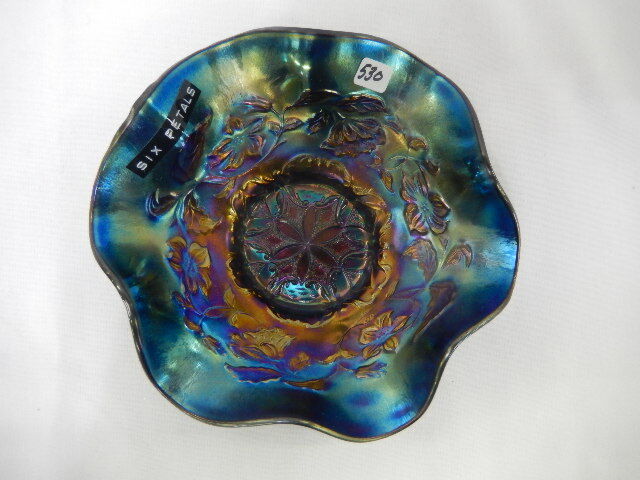 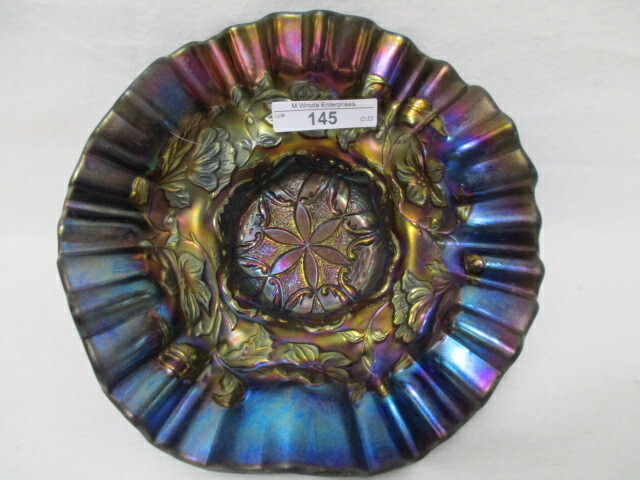 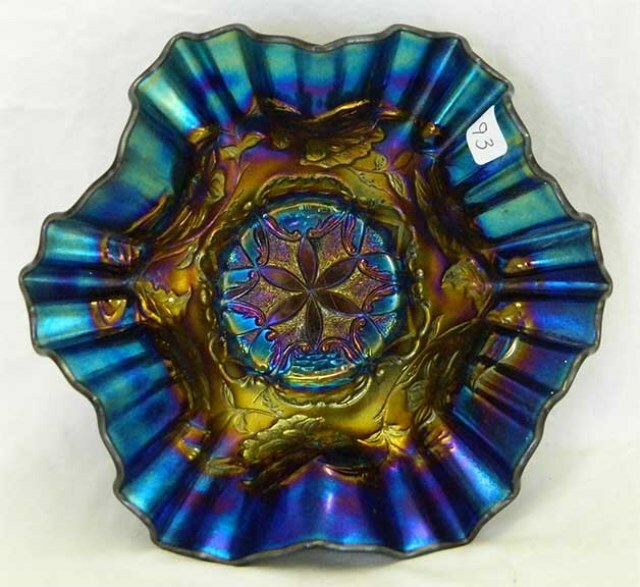 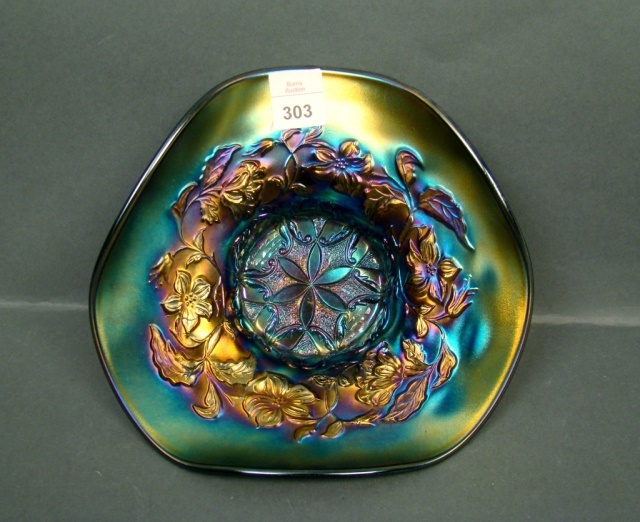 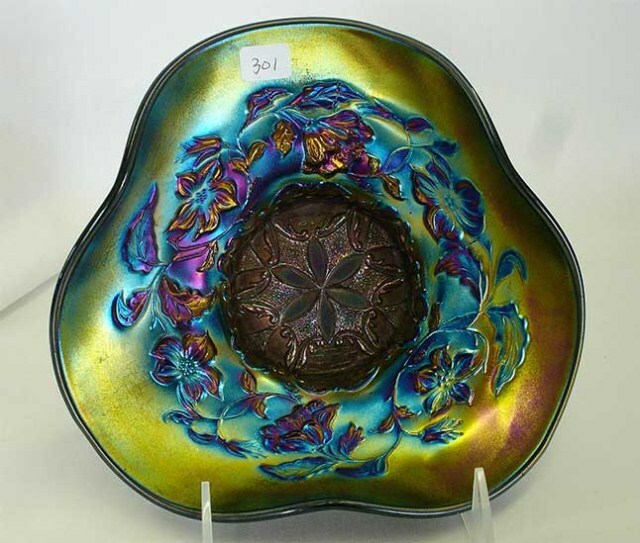 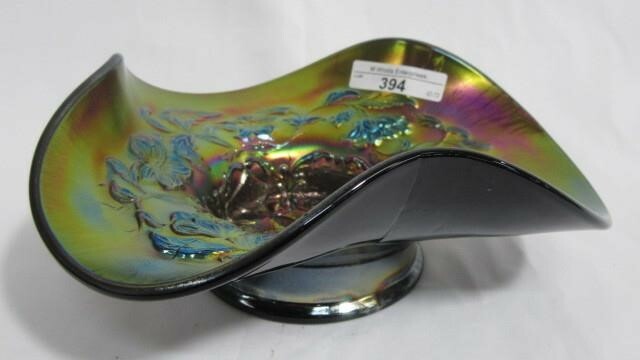 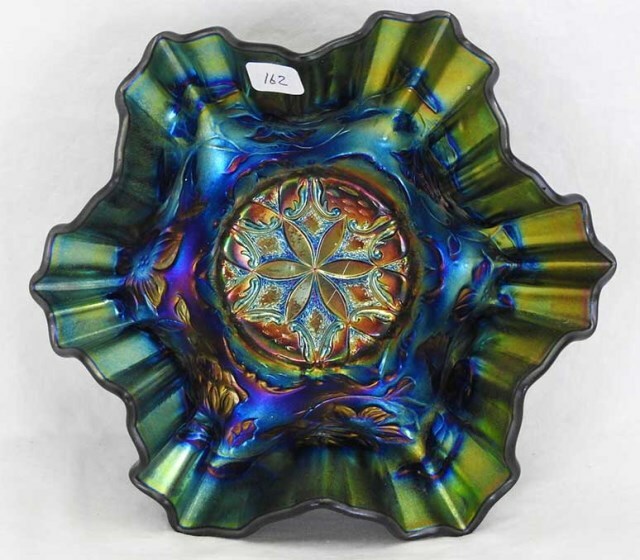 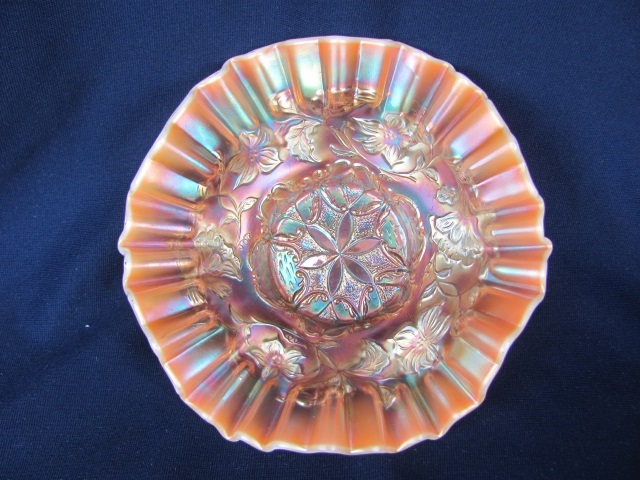 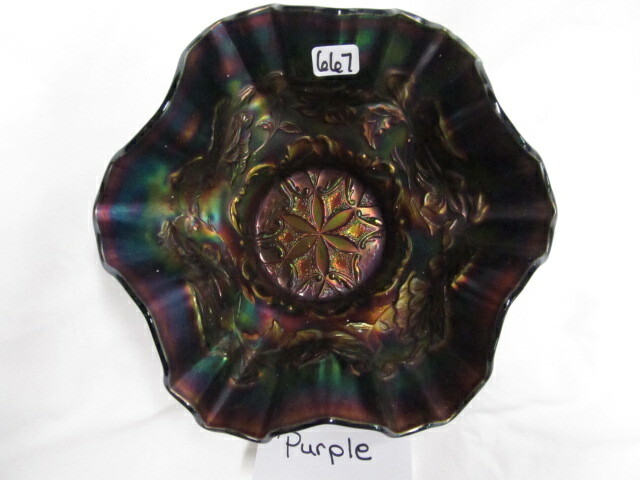 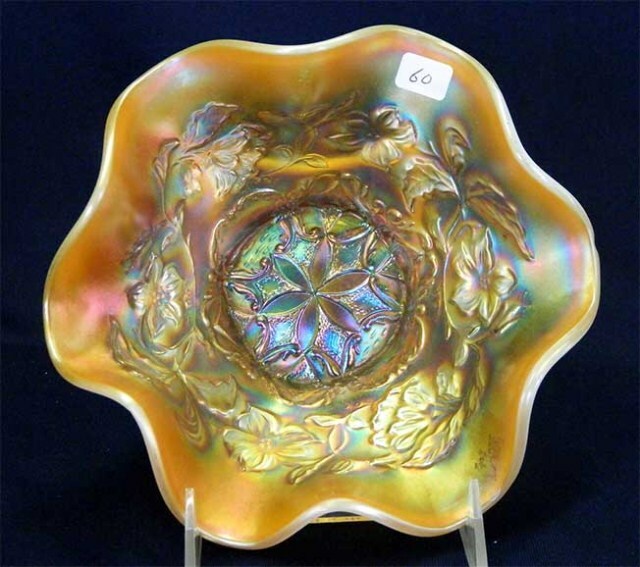 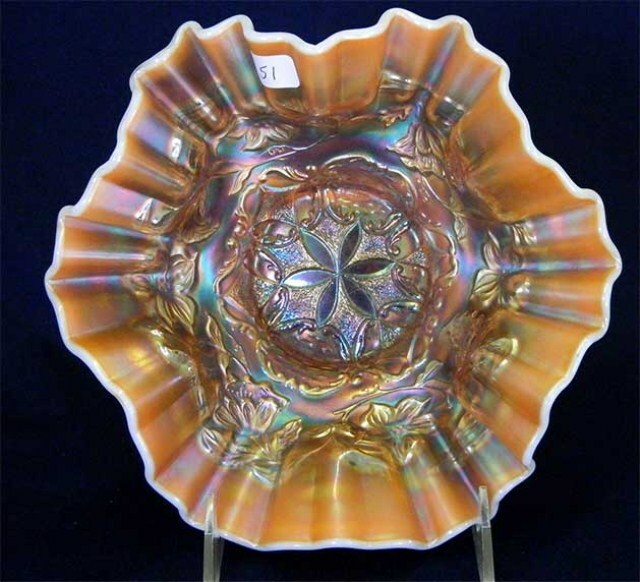 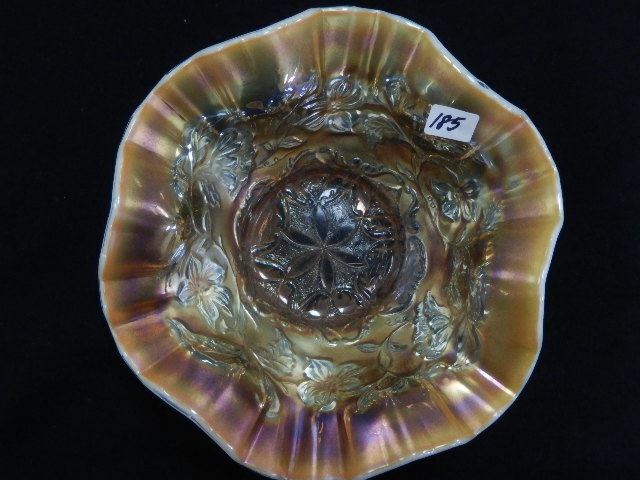 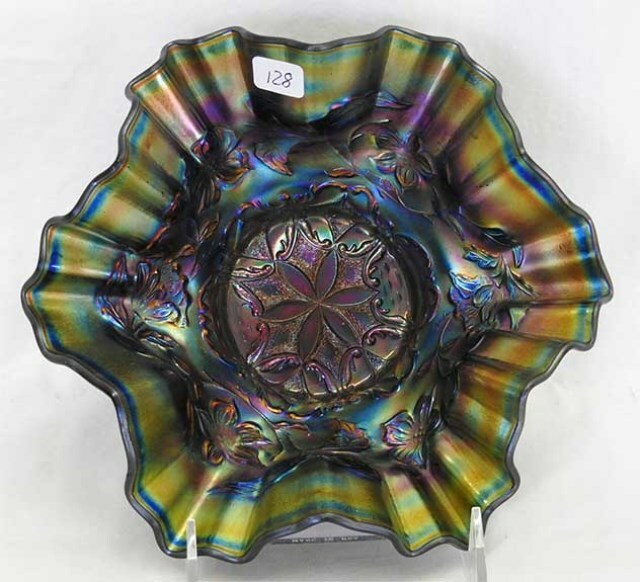 These bowls are found in tricorner shapes (above) and crimped or ruffled, 7 to 8 inches across.